You would not come across Athelington by accident, I think. 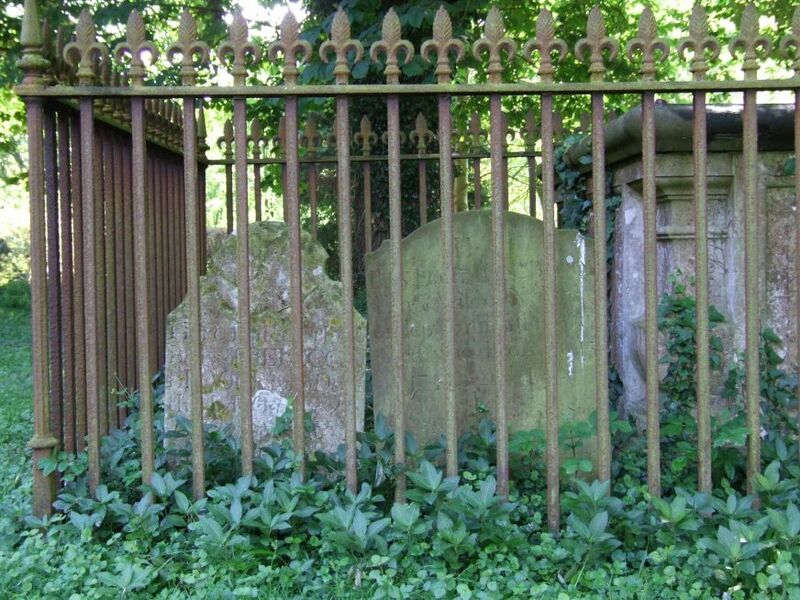 It sleeps in the narrow lanes between Horham and Worlingworth, miles from anywhere. Half a century ago, this was a much busier place, for the long-mourned Mid-Suffolk Light Railway, or Middy for short, had a station here, and the American airbase at Horham was only a couple of miles off. 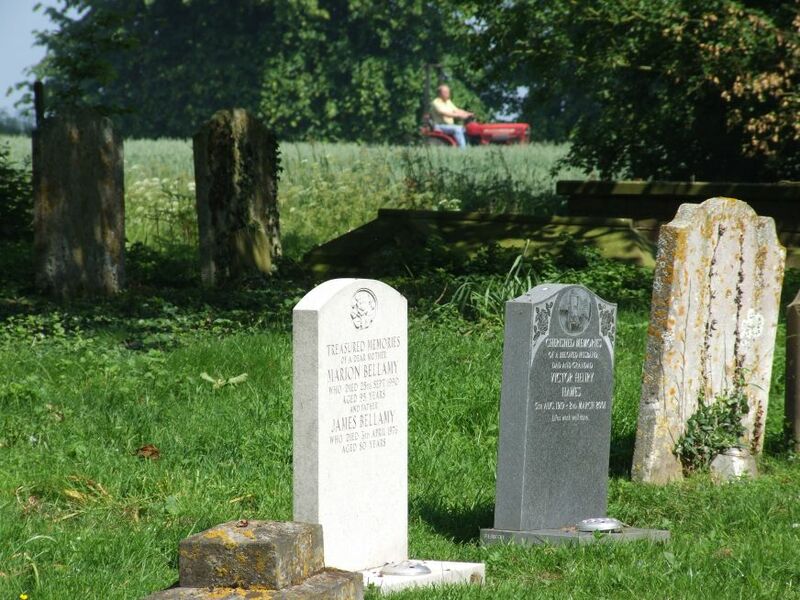 A century earlier and it was perhaps busier still, because the population of rural Suffolk has been falling away inexorably since the 1851 census. Now, government house-building schemes threaten East Anglia, but it is hard to think that Athelington will be much affected, being so far off the beaten track. 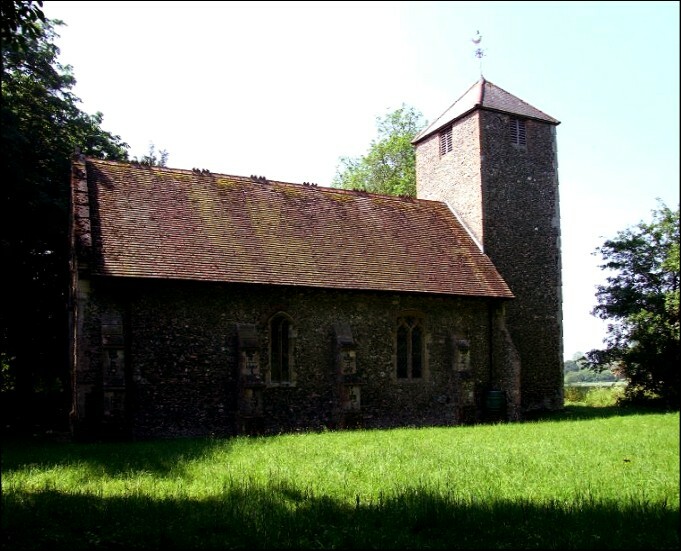 Suffolk is a county of exciting and beautiful churches, but Athelington is a small, plain building which is put in the shade by most of its neighbours. 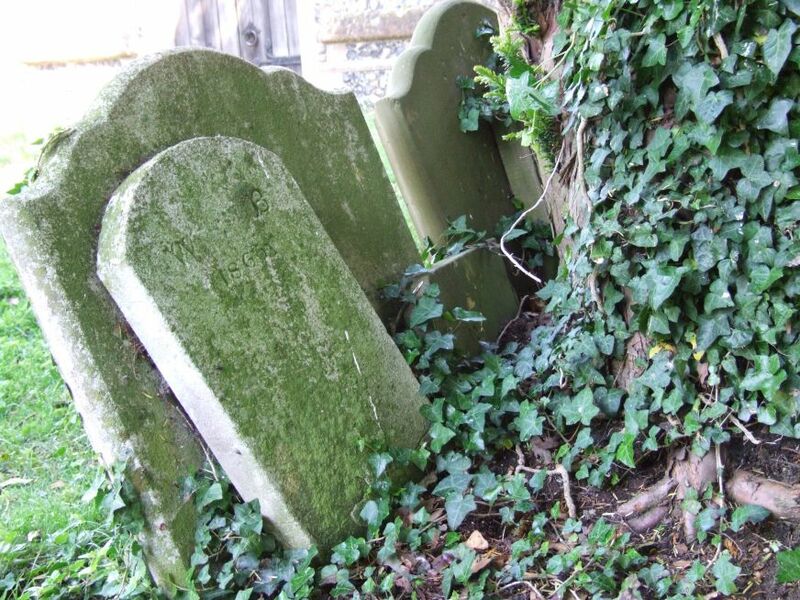 More literally, it is also put in the shade by its tree-filled graveyard, a slightly raised, small cushion at a wide bend in the road, suggesting that this is an ancient site. 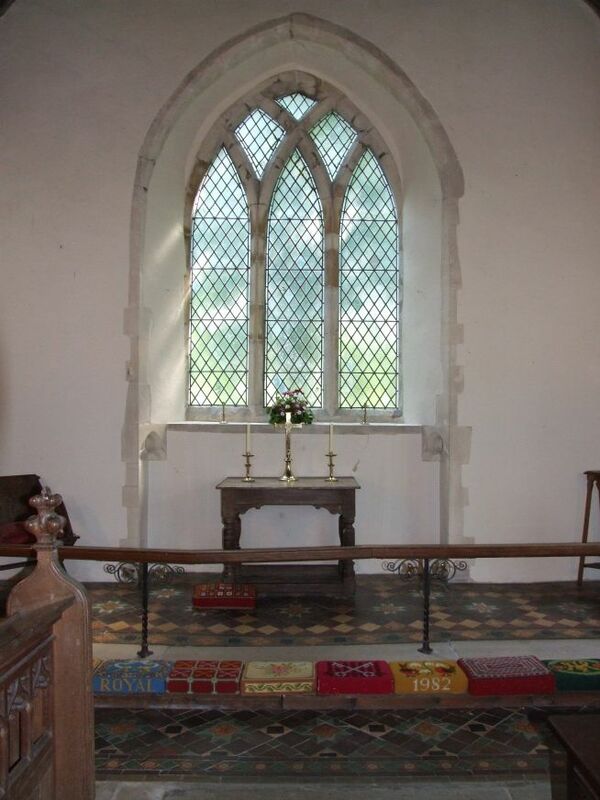 Externally and internally, the church is largely a Victorian remodelling. 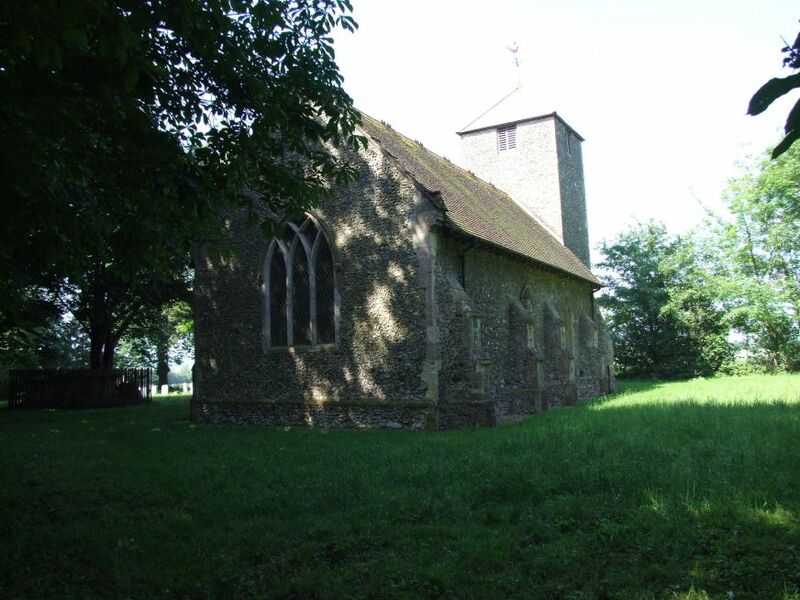 Simon Cotton informs me that there was a 1463 bequest for a new tower here; either it was never built, or the addition was demolished later, for what survives here is very much earlier, and is capped at a low level. The 19th century topping out is rather striking, particularly the finial atop the stair tower roof. 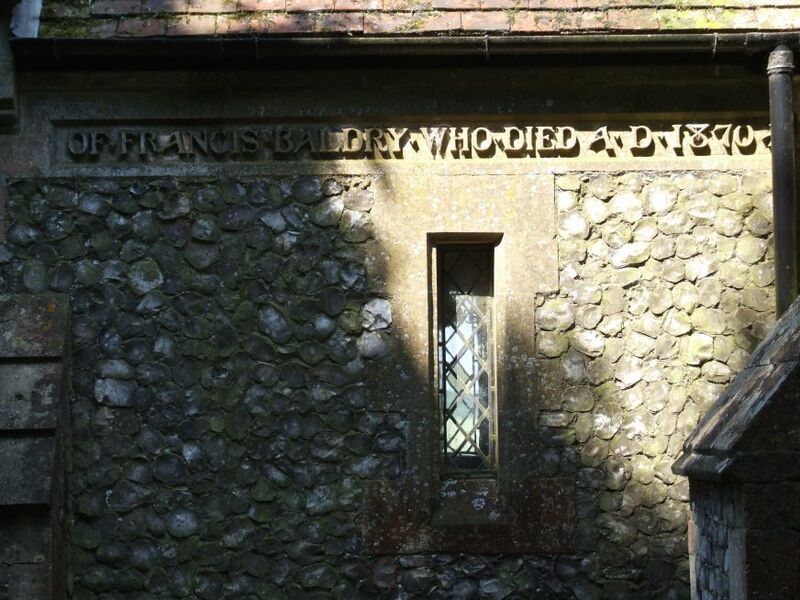 The bare-faced 19th century flint porch bears a memorial inscription, but generally it isn't a memorable exterior. 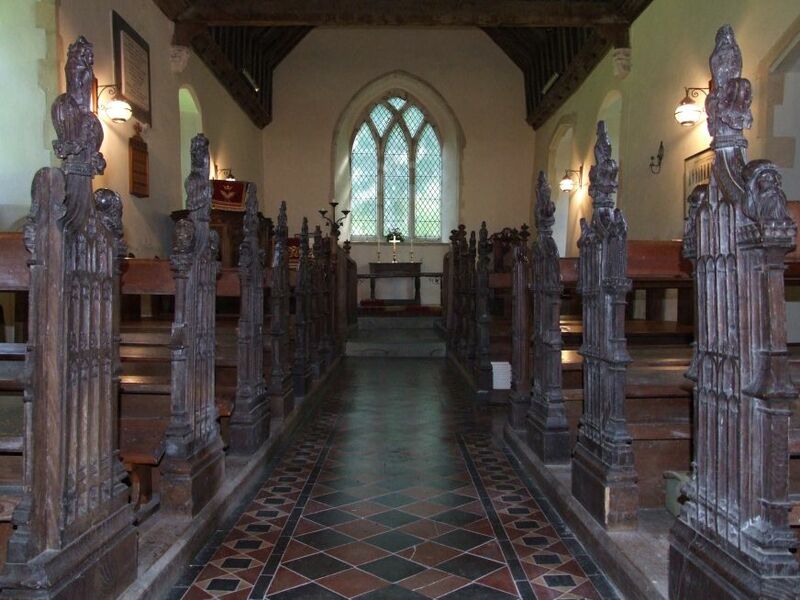 This is a small church, and the frosted quarries make it rather dark inside, but despite its undistinguished appearance, St Peter is home to a fine collection of bench ends. 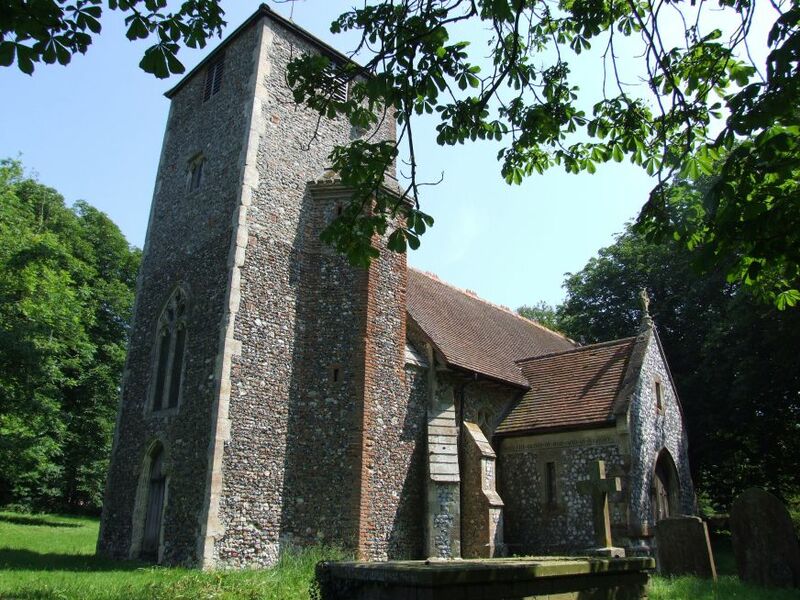 These include some 15th century representations of the apostles, some 19th century replacements, and across the nave to them some of Suffolk's favourite female saints, mostly 19th century: Margaret, Barbara, Agatha, Catherine and Agnes. For several years, it has been extremely difficult to see these carvings. 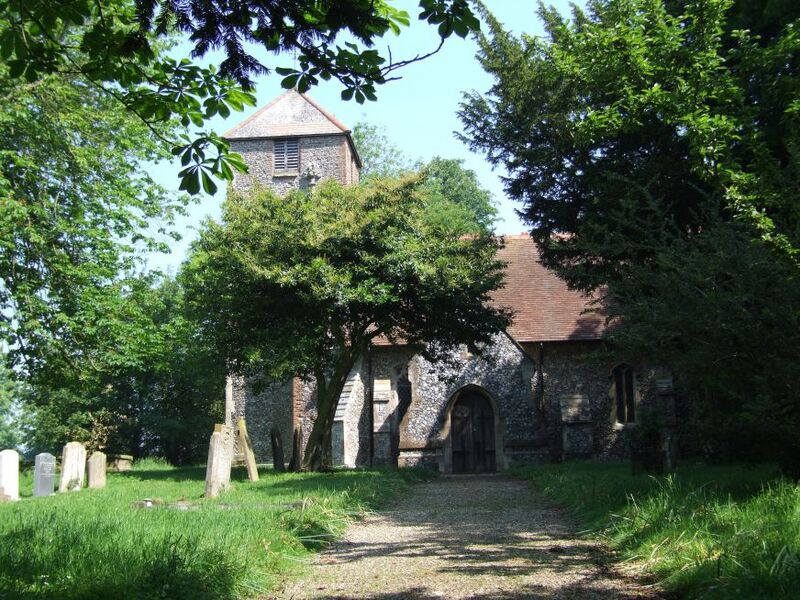 On several visits, I never found this church open, and at first I had not even found a keyholder listed. 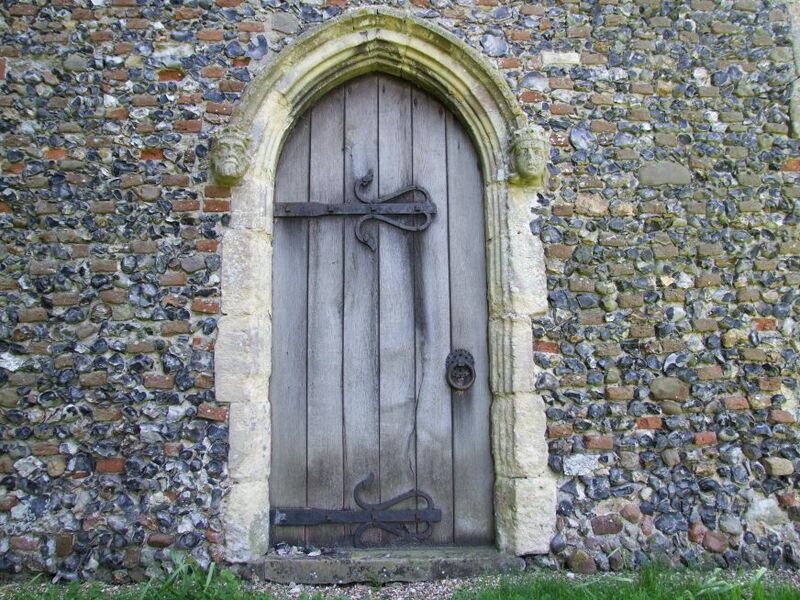 However, in 2007 I was more fortunate, finding both a notice and the keyholder in, and so it was that St Peter was one of the last Suffolk churches into which I stepped. 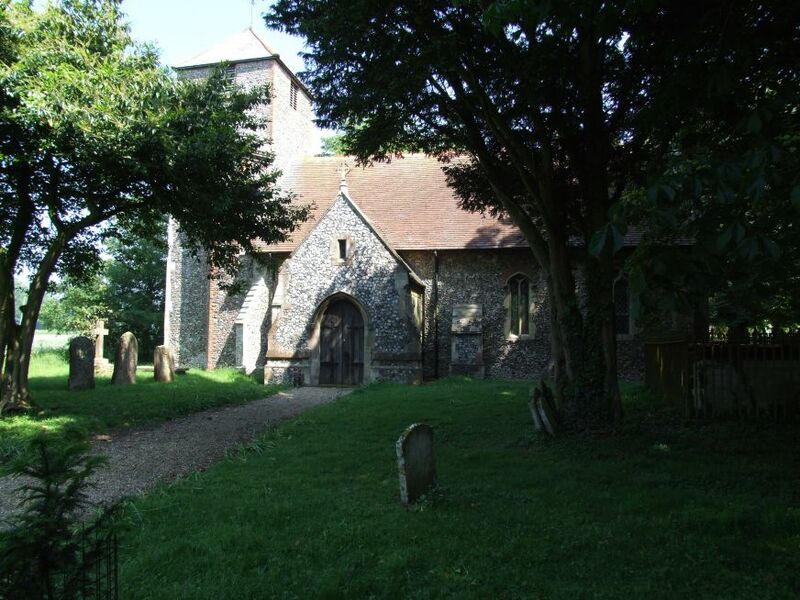 I had also got into Denham for the first time earlier in the day, and so I was doubly pleased. 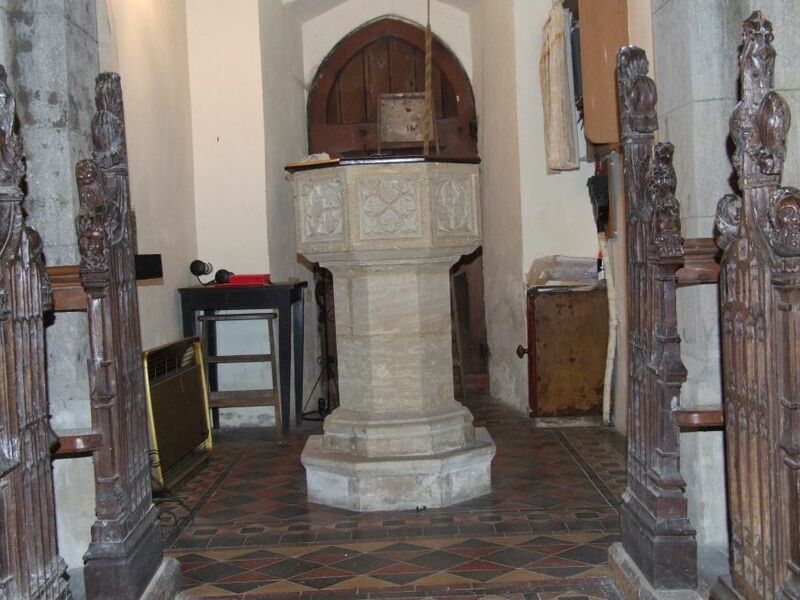 I was interested to note that the traceried 14th century font was very similar to the one across the meadows at Bedingfield, albeit set differently. The images of the female Saints are particularly lovely, and it doesn't really matter, I suppose, that they are mostly Victorian reproductions. 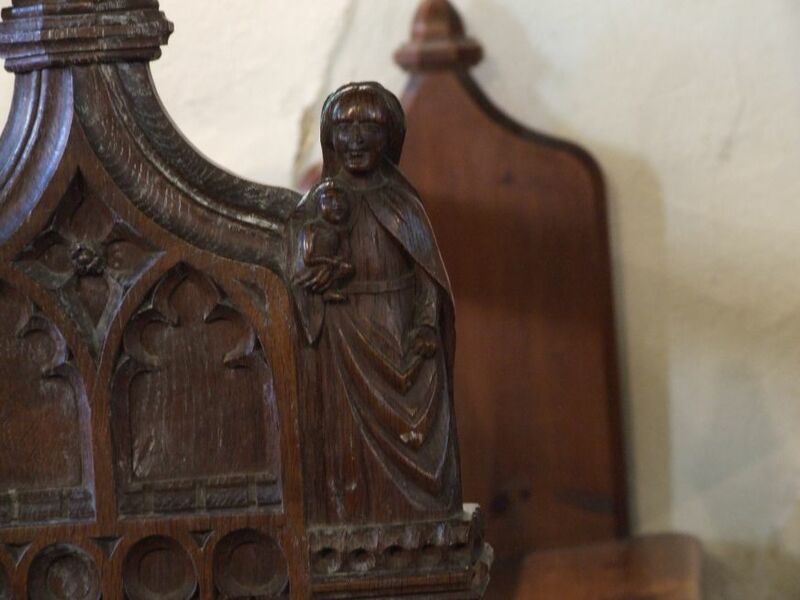 The figures of St Agnes and the Blessed Virgin, for instance, call to mind the excellent 19th century copies of medieval work at Forncett St Peter across the Norfolk border. 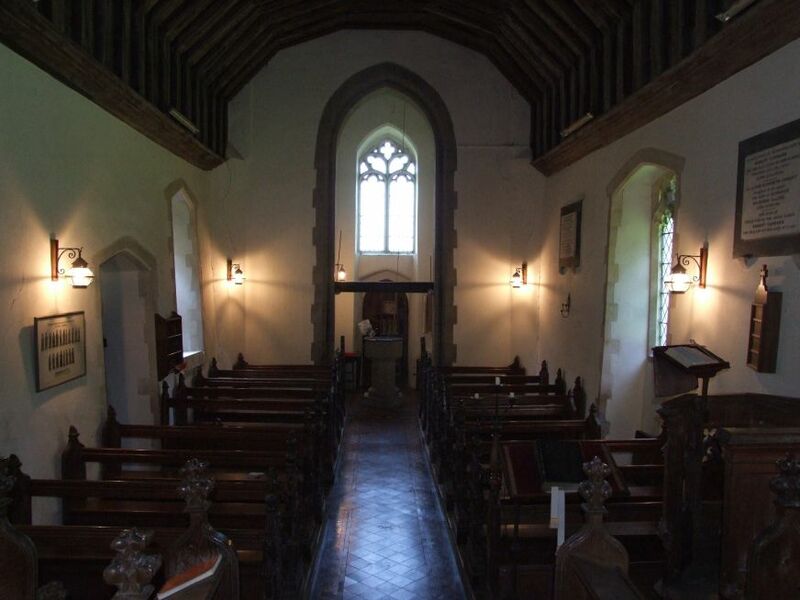 Be that as it may, they are all beautiful, and inside the stark exterior this is a plain, simple, pretty church. The simplicity of the east end in particular is lovely, the trees swaying beyond the glass creating a more numinous effect than any coloured glass. Before leaving, I stood beneath the tower and looked up. 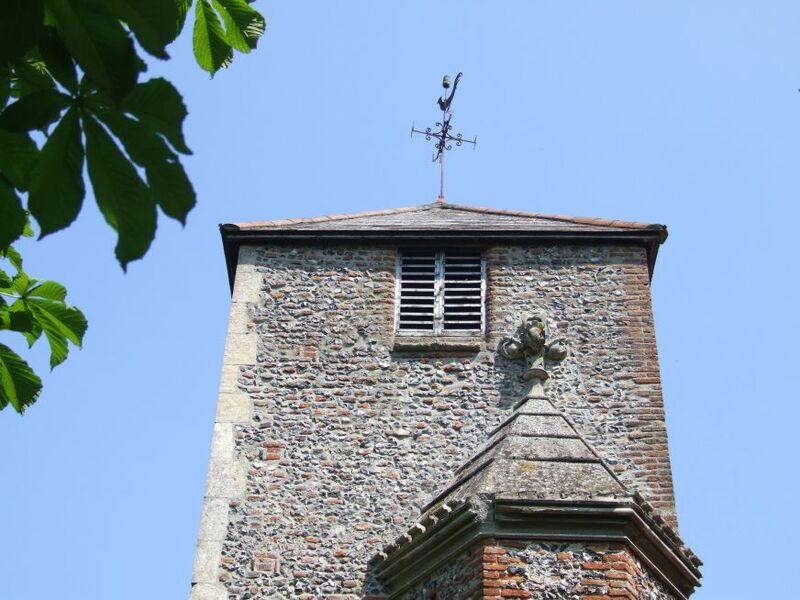 What appear to be medieval roof bosses have been reset around the bell-opening, a lovely detail.